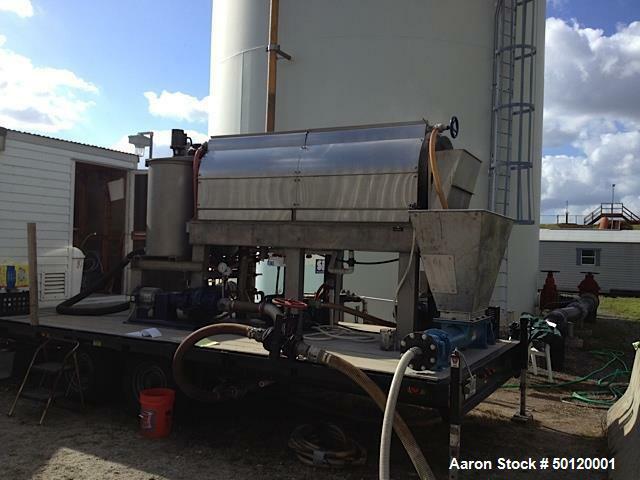 Used- Trailer Mounted Portable Rotary Sludge Thickener (RST) Assembly, Model RST 100. 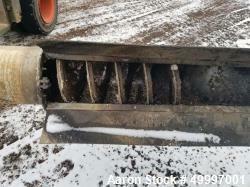 Can process 100 GPM of 1% Solids Sludge into 6% to 10 % Sludge. 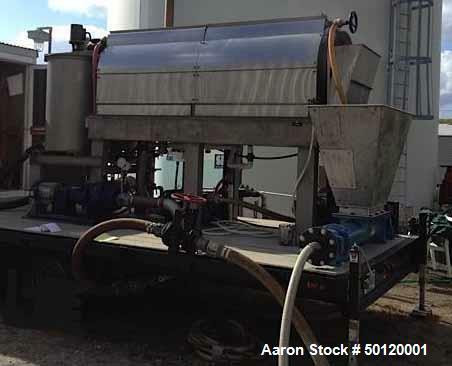 Complete Thickening Package including: 24 Foot Flatbed Heavy Duty Trailer with Electric Brakes, Class III Hitch and Load Equalizer and Lab Enclosure / Polymer Room; All Stainless Steel; Raw Sludge Feed Pump Variable Frequency Drive; Thickened Sludge Discharge Pump, Open Throat Progressive Cavity, Variable Speed Controlled Electrically; Filtrate Discharge Pump-Centrifugal; Wash Water Boost Pump-Turbine; Polymer Mixing and Metering System. 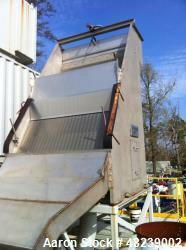 Complete Control System in SS Enclosure. 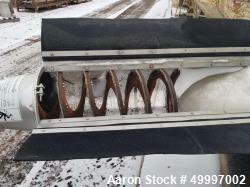 Operates on 460/3/60 or 240/3/60 or 208/3/60 with built in transformer.